They're for her two dads! 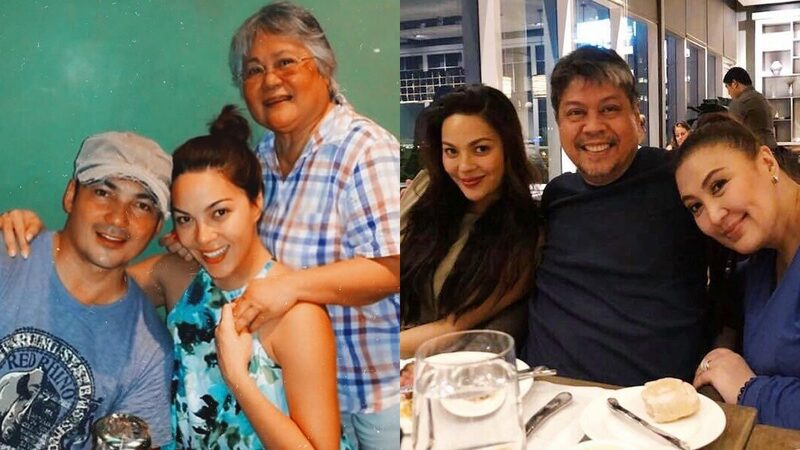 In celebration of Father's Day over the weekend, KC Concepcion made her two fathers feel extra special by honoring them on Instagram. It is a known fact that KC's parents Sharon Cuneta and Gabby Concepcion separated when she was two years old. Her biological father moved to the United States and lived a life away from the limelight for 13 years. In 1994, Sharon got into a relationship with Kiko Pangilinan. Not long after, Sharon and Kiko would get married. She first posted an image of her with her stepdad, Senator Kiko, and wrote, "The side people rarely see... When he's not slaying dragons, he's with the girls giving love advice. Thank you to the main man of our lives, the one who taught me how to use a dictionary, budget my money, plan ahead & be organized. Long nights of talking, communicating, spending quality time became a REALITY with you. "An authoritarian who was once SUPER STRICT has now become a warm dad & close friend. Thank you for giving me confidence. And making me feel that I am enough. #HappyFathersDay"
Shortly after this post, KC shared a happy image of her with biological dad, Gabby, with the caption, "I will always be thankful for the ways you record memories, remind me of the who's who in our family tree, tell me stories & remind me of my roots. "I always look forward to our endless late night phone conversations, where we talk until you fall asleep. Yes you, because I'm a night owl and can go on till the sun rises, but you never cut me off. Perhaps to make up for all the lost time all the years we were apart. To the first man I ever loved... #HappyFathersDay"